Very old and new selections of music from and in the Irish and Scottish traditions, promenaded in vibrant, eclectic humour on flute and guitar. This is a collection of old and new, Irish and Scottish Traditional music, a personal selection of Fintan Vallely's which arose out of his playing in Scotland with singer Tim Lyons in the 1980s. The music looks both backwards and forwards - beginning in the 18th century Scottish composition period which defined a great chunk of what we know as Traditional music today. It includes some of the more standard twentieth century Irish piping repertoire, some from Co. Clare, and branches into 19050s-onward new composition. The old Scottish material was sourced in the 1765 Neil Stewart Collection of Scottish Music, courtesy of Sutherland fiddler Charlie Menzies. Fintan had a privileged glimpse of his copy of the manuscript - the only one in existence outside of the George V Library in Edinburgh - while on tour with Dáithí Sproule in the summer of 1989. The particular tunes were chosen for their stark similarity in style and basic playing 'feel' to Irish music, something which points to older Irish and Scottish music being once similar, and having moved apart stylistically only in modern time. A particular pointer to this is the piece The Duke of Atholl's Rant which in fact has been played in Ireland all through the twentieth century as The Humours of Ballyconnell. A shorter variant of it, or of the following piece Miss Betty Plummer's, has also been played in a more strathspey form by Co. Antrim bands as a marching tune. This both verifies the accuracy of oral transmission and underlines the fundamental links between Irish and Scottish musics. So too does the similarity of the second part of Miss Chalmers' to the second parts of The Starry Lane to Monaghan as well as some other 4/4 tunes such as The Ships are Sailing, The Connemara Stockings and The Ebb Tide. Listen to samples or download tracks. The Junction Pool, Cheviot Blast. These are double jigs, from the Breath of Fresh Airs composition selection by Aberdonian Iain Hardie, himself a terrific fiddler and small pipes player who is a prolific composer. The Chinese Hornpipe (also known as The Setting Sun) is a composition of the great Chicago fiddler and composer Liz Carroll. Lady Emilia Kerr's is a hornpipe from the Neil Stewart. A Stór Mo Chroí, a slow air, is from the singing of Mick Flynn of Miltown Malbay, Co. Clare, home to the annual Scoil Samhraidh Willie Clancy, a prime summer site of Traditional music and dance teaching held annually on the first week of July. It is followed by the single jig Mo Ghrása sa Mhaidin (My Love in the Morning) with a Clare feel, from Breandán Breathnach's 1963 collection Ceol Rince na hÉireann. The Blackbird is a 19th century 'set dance' (to which a fixed form of display dance was done), The Doon Reel and The Side that Ate in the Catacomb are reels from Breathnach. Poll Ha'penny, a Scottish hornpipe long in the Irish repertoire, is played here in a superb solo by Mark on guitar. Lexie McAskill's is an old Scottish pipe reel, played here with two new parts by pipe. Peggy on the Settle can be found in O'Neill's, but is also played in Scotland as In and Out of the Harbour. Dan Breen's and The Limestone Rock are tough Irish tunes which are part of the standard repertoire everywhere. Louden's Bonny Woods and Braes is an old Scottish strathspey (a jagged form of slow reel), played here with two more of Iain Hardie's wandering, uplifting and plaintive reels Auchope Cairn and The Cleek. The Shanghai and The Ducks of Magheralin are marches, learnt from the playing of the Steeple Young Defenders Flute Band from Co. Antrim. Both standard pieces in the Orange repertoire, and here in a dynamic setting which matches the timbre of their political purpose, the first is a core melody in Irish music. It is found in other forms including the jig and song Boys of Tandragee, and the reel The Swallow's Tail, and also in the Scottish Border ballad The Band O' Shearers. They are followed by the reel Touch Me if You Dare. The Dear Irish Boy is a slow air, here played in the style of uilleann piper Felix Dolan. Miss Chalmers' is a nostalgic strathspey from Neil Stewart's collection (with much similarity to the Scottish-sourced Donegal highland). Here it is gradually built up to reel tempo and moves into Fintan Vallely's Rockforest Reel, composed on the road in Scotland, and named for Scottish farmer Brian Gibson whose Co. Tipperary, Anglo Irish parents moved to Sutherland in 1921. Gregorium Uproarium is a play and variations on the reel The Musical Priest and its relative Raitheanach a Bhean Bheag. The Duke of Atholl's Rant is obviously the original of the Irish tune Humours of Ballyconnell (and with the same three parts), while Miss Betty Plummer's is similar, but shorter, close to a marching tune used by Loyal bands in Ulster. Scanie Ne'er's is a beautiful and intriguing short piece, like the first two also from Neil Stewart, which leads neatly to Cava/Philadelphia fiddler-composer Ed Reavey's bright Starry Lane to Monaghan, named from a path he walked as a child from Co. Cavan. 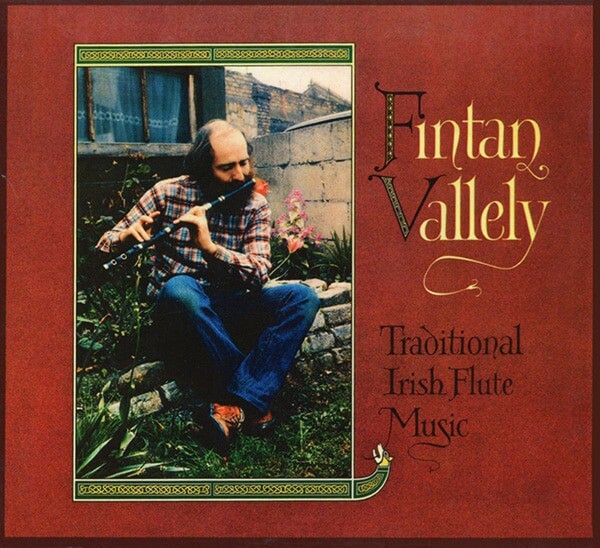 Fintan Vallely is a flute player, and writer and commentator on Irish Traditional music. From Co. Armagh, in Ulster, he brought out the first ever Irish flute tutor in 1986 - Timber - The Flute Tutor, new edition 2008. He went on to be The Irish Times' and Sunday Tribune's critic for Irish music in the 1990s, and the compiler of the A-Z reference The Companion to Irish Traditional Music. He has written and edited several other books, most recently Sing Up! 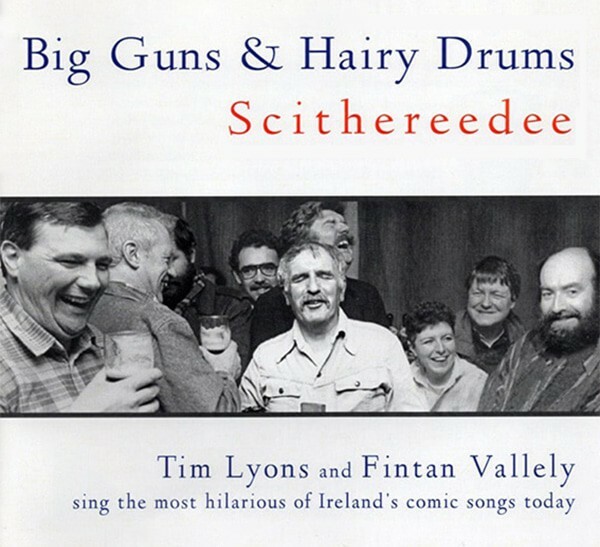 - Irish Comic Songs and Satires, and Tuned Out - Traditional Music and identity in Northern Ireland. His debut album The Dark Loanen - Irish Traditional Music on Flute was recorded by Shanachie, New Jersey, in 1979 (reissued 2008). He has also recorded satirical song with Tim Lyons (Knock Knock Knock, 1988), and Big Guns & Hairy Drums 2000). Mark Simos began playing rock music, gradually evolving stylistically into Irish Traditional playing with the group Knock na Shee. An accomplished fiddler also, he branched out into Contra dance music, English Country dance and Square dance music on fiddle and guitar. A prolific tunesmith, his talent and take dismiss the myth of 'accompaniment', and on this album his guitar is a profound and integral part of the music sound and energy. A performer on many albums, his solo CD of original old time style fiddle tunes Race the River Jordan placed many of his tunes in circulation among old time and dance musicians. Bluegrass and acoustic artists including Alison Krauss and Union Station, the Del McCoury Band, Kate Brislin and Jody Stecher have recorded his songs. 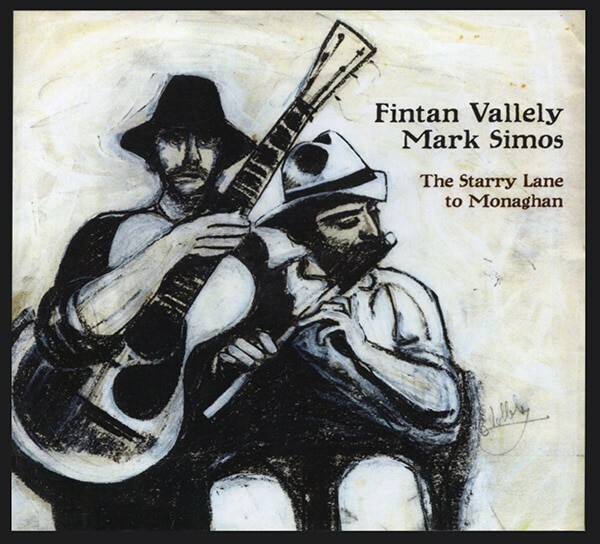 He played on Fintan's original 1979 album, but The Starry Lane arises from a chance encounter in the village of Valpolicella, Italy where the Armagh Pipers' Club were on a north Italian tour in 1990.